Quotes about Making Mistakes - what to do when you have made a mistake - and how to avoid guilt and regret. If we all worked on the assumption that what is accepted as true were really true there would be little hope of advance. You are you and that is the beginning and the end - no apologies, no regrets. Because every little detail of your life is what made you into who you are in the end. 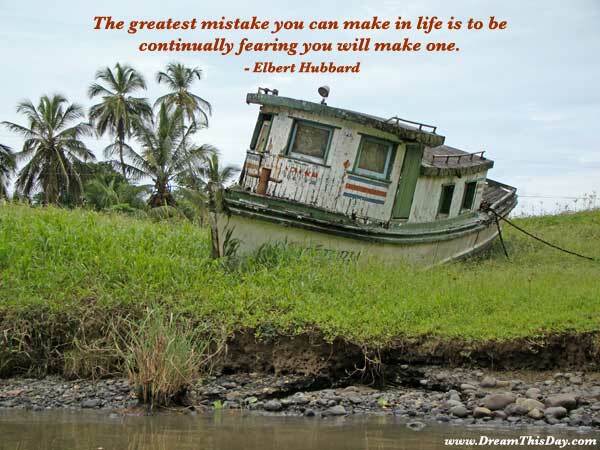 Thank you for visiting these Making Mistakes Quotes and Quotes about Failure. See Regret Quotes and more Quotes about Life.